WHEN: April 14, 2019, 2:00 p.m.
Ms. Fader will be performing music by Chopin, Bach, Schubert, Mazzoli, and Debussy. Tickets are $15 ($10 for seniors 60 and over) and may be purchased through Brown Paper Tickets: www.brownpapertickets.com/event/4090383 or at the door, one half hour before the performance. A reception will follow, and the Center has abundant free parking. Melody Fader enjoys a busy career as piano soloist, chamber musician, vocal accompanist and interdisciplinary collaborative artist in New York City. She has performed in New York venues such as Alice Tully Hall, The Joyce Theater, The New York Times Center and Carnegie’s Weill Recital Hall, as well as on tour nationally and abroad. 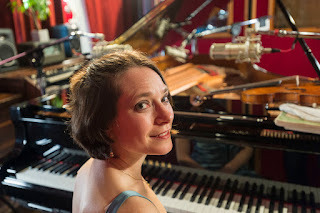 Ms. Fader holds a BM degree from the Eastman School and an MM from Juilliard, where she was a student of Margo Garrett, former chair of the collaborative piano department.